One of my passions is Bible study. I need it like I need to eat breakfast every morning. There are days that get ahead of me and I miss getting into the Word until I tuck wearily into bed and some days that I miss it altogether. But one day out and I feel off. My thoughts and emotions begin to drift, unanchored from God’s truth. While I use devotionals and study materials, my very favorite is to first mine all I can from the Word before I turn to commentaries or study notes. I’ve found that as I dig down into the Word itself, without looking at commentaries, God unlocks truth that is deep and personal. 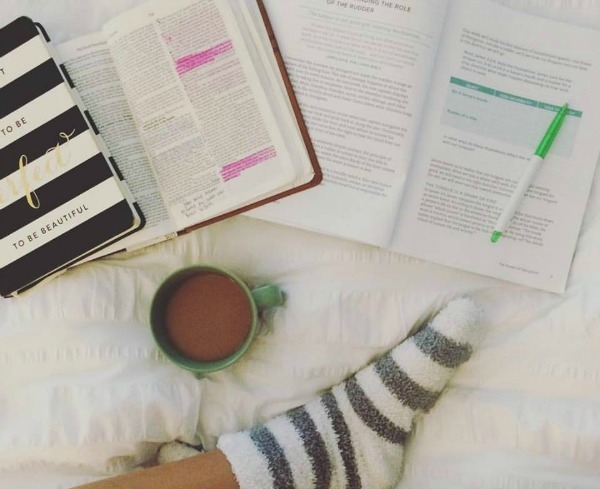 Today I want to share 3 ways to dig deep in Bible study. I pass these on as new methods that I’ve been using recently to help me. If they help you, then by all means use them. And I’d love to know how you mine truth from your Bible study. 1. Read the entire book in one sitting. Not the entire Bible but a book of the Bible. I adopted this practice from John MacArthur who starts new studies by reading a book of the Bible all the way through. He actually reads it through multiple times, but at least one reading through in one sitting gives enormous perspective to the full sweep of what God is revealing in that book. So often, our Bible study is broken into pre-digested passages or we stop and start at the chapter markings. But the chapter and verse markings are not original and reading the book all the way through helps me see past verse numbers to the writing as the author first penned it. I’ve also been pleasantly surprised to read the often-quoted passages in context. What a difference that makes! 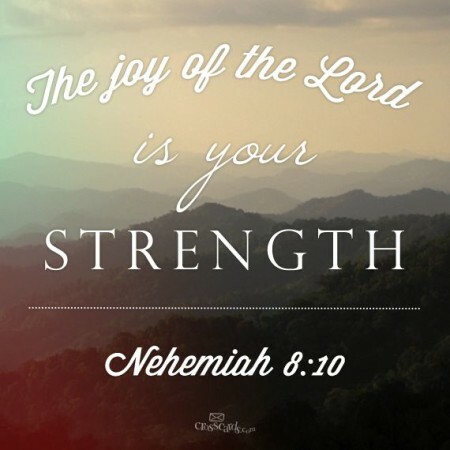 Who knew “The joy of the Lord is your strength” comes not from some exultant victory but out of Nehemiah, when the Jews were grieving their sin? The flow of the text gives such rich context to these verses and much more insight into their meaning. 2. Read a chapter, then re-read and re-read. Instead of reading through a book, lately I’ve been reading the same chapter over and over before moving on. It is flat out amazing how God continues to reveal new truth every time I read it. Different words or phrases will stand out or I’ll see something I never noticed before. Ask God to give new insight and new application and He will continue to unpack truth from the very same text you read the day before and the day before. The Word is living and active! Just like no two conversations with a friend will ever be the same, no time with the Lord will ever be redundant. Right now, I’m in Philippians 1 and today, for the first time, I saw Paul’s emphasis on unity in the body. He tells the Philippian believers they have “partnership in the gospel” with him. No competition. No “my ministry, your ministry.” All in partnership for one goal — God’s glory. No wonder Paul could rejoice in Philippians! Can you imagine the releasing joy we would have if we weren’t striving to grow “our ministry” — to tweet it first or say it better or have bigger numbers on Sunday? We are not competitors but partners in the same gospel marching toward the same goal: to glorify God. That was such a word to me that I saw only after reading the chapter for the sixth time. No telling what God will teach tomorrow. 3. Map out a word or phrase. This is the third method I’ve been using. As you’re in the Word, the Holy Spirit will spotlight certain words or phrases. I used to underline those and keep reading. Now, I stop and turn the word over in my mind. I ask questions, imagine its application, its original use and meaning. This little exercise brings such fruit! I don’t just understand the word better; I find this is a place of tremendous personal application. That’s the goal of Bible study: to know Who God is and, as result, to change who we are. <—– Of course, that’s the hard part! And that’s where our work really starts. But the more we dig deep in Bible study, the more God will give us very personal lessons. This is the kind of stuff that makes me happy. It’s what keeps me coming back to the Word again and again to drink from this rich fountain. It is no intellectual exercise. It is opening a conversation from the very God of the universe and listening as He teaches me. *Stay tuned friends. I’m working on something I’m excited to share in a few days. If you’d like to know when new posts are up, I’d love for you to subscribe here. God usually speaks volumes in seasons of suffering. Actually, I don’t think He speaks more than at other times, it’s just that we’re finally in a place to perk up our ears and listen. I don’t want to miss any of that. Four years ago, I needed a place to pour out my heart and I started to consistently keep a journal. There’s no right or wrong way to journal. Many people use art journaling. Some write out scripture or re-write a passage in their own words to dig down in study. I keep a journal to capture all the emotion I feel, all of my prayers and all that God is teaching me. Cross: I mark a cross in the margin beside something God is teaching me. Sometimes He unpacks my morning Bible study so fully that I have to make a list of bullet points to get it all down. Other times, I’ll record an insight God brings to mind as I’m driving or a nugget of understanding He gives as I’m praying. All good stuff that I want highlighted to help me find it quickly. Heart: A heart shows something very personal God has done for me. It’s like a love note. Do you have a box of corsages and notes your husband gave you while you were dating? God is so personal. Sometimes He does small things that might not even matter to most people, but they matter to me. I know they are from God to me and they reaffirm all over again that His eyes are on me, that He loves me and if He’s doing these small things, He’s going to faithfully take care of bigger things. Circle: I use a circle in the margin beside my prayer requests. 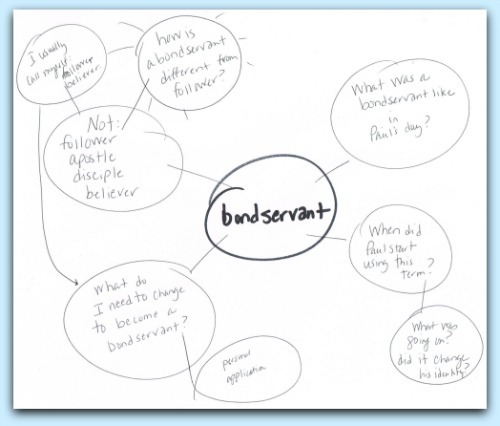 An empty circle represents an unmet need. I love nothing more than going back and putting a check mark through that circle when God answers. I write the date and how He answered. I don’t record all of my concerns and needs because, really? I could fill volumes. I speak most of those prayers and park them in my heart. But there are times and there are needs that overwhelm me and it’s those that I often record. It helps me remember. We think we’ll never forget the things God does and teaches. But months and years cloud our thinking and I’m sure without my journals, many of the details would be lost. Some of the little love notes He gives in the mundane of life would be forgotten. Journaling captures it forever. It helps me connect the dots. It’s fascinating to go back through older journals and see my overwhelming need one day and how God perfectly met that need on another. Just days after Dan died, I asked God whether we’d ever have joy again. I was so broken; I couldn’t imagine a life with joy. Days later, my journal shows how God answered so clearly and I tear up even now remembering how He reassured me that, yes, we would again have joy. What a perspective to see in my hurried handwriting the great despair and only days later to see God answer big. It helps me get emotion out of my system. I had lost my best friend, the one I usually talked things out with. I couldn’t dump this emotion on friends and I needed to process the fear and sadness and angst to parent my children. Every morning as I got away for Bible time, I poured out my emotion on paper. Instead of going to friends, I went to God. It didn’t keep all emotion from our home, but it provided an outlet. I could lay it every day before a safe God. It helps me remember special verses. I’m an underliner. My Bible is full of verses that I’ve underlined and words that I’ve circled. And if I’m claiming the promise in that verse, I’ll mark my name and date next to the verse. But I also like to put the promises God gives me in my journal. I can write the verse and write out my prayer for that verse. It reminds me of God’s faithfulness. In a thousand ways, God is faithful. When I’m having a hard day, reading through journals encourages me and reminds me of all God has already done. Just glancing over at the journals lined on my shelf stands as a reminder of all that He’s taught and all that He’s done in these last four years. I haven’t always been a journaling girl, but I’m convinced. I see the benefits and I want to capture what God is doing in me and around me. I don’t use special pens or expensive journals. I write in a spiral notebook and when one is filled, I note the beginning and ending dates on the cover, shelve it and pull out a new one. Do you keep a journal? Have you been wanting to start? Like that keepsake box of corsages and letters from your husband, journals are a forever record of God’s faithfulness and love to you. This is Day 13 of 31 Days: Braving the Broken. I’d love to have you join us for this series by subscribing here and get the free printables sent to subscribers. You can also join us on Facebook here for even more encouragement. The full 31 Days: Braving the Broken series can be found here. I feel as though this verse could be stapled across the last four years of my life. In the darkest hours, God’s Word has been not a balm but the balm for my soul. Every single day, as I went to God in pain and brokenness and opened the Bible to see what He had for me that day, He set my feet on the Rock and anchored my soul in hope. There have been several things hugely encouraging in this season of suffering. I’ve had certain songs on repeat that helped me cry through some of the hard and ministered deeply. There have been sermons that seemed written just for me. We’ve been loved on by friends and family and I’ve read good books that spoke to grief. But as helpful as all of that has been, none of it compares to the healing I’ve found in God’s Word. Hands down, it has been getting into the Word that has lifted my head day after day when I’ve been at my lowest. It’s been my daily exchange. 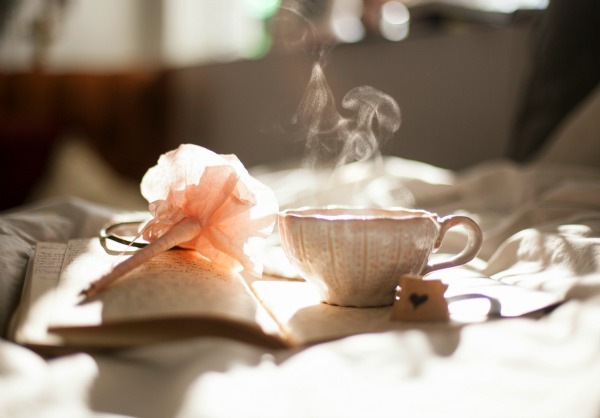 Each morning I’ve come to my Bible time and exchanged my worry for God’s peace. My despair for His hope. My pain for His promise. My feelings for God’s truth. I’ve had to do it daily. I can’t get into the Word one day and have it carry me through the week. I keep learning this lesson. It’s when I have a particularly hard day, not just because of the day’s events but because I’m stressed and worried or super downhearted that I realize – oh yeah . . . I didn’t spend time in the Bible this morning. The day got ahead of me, I put off Bible study until I got some other important things done and before I knew it, my emotions had plummeted. I need a daily exchange of my thoughts for God’s thoughts. A fresh filling of His promises, His character, His hope. This prescript for daily filling is pictured beautifully as God fed the Jewish people when they wandered for 40 years in the desert. Every morning, He rained down manna — bread from heaven – and every morning each family had to go out and pick up enough for their family that day. They couldn’t gather enough to last for the week. Leftover manna turned rancid and wormy. There was one exception: God preserved a double portion gathered on Friday so they could rest on the Sabbath. Otherwise, it was a daily gathering. What God gave the Jewish people physically, He gives us spiritually. Daily manna. We need that same fresh filling. Nothing calms me, grounds me, restores my soul, lifts my head, fixes my perspective, renews my hope, confirms my purpose and woos my heart like a daily dose of God’s Word. 1. Choose a book of the Bible and start reading a chapter a day. No need to search randomly through the Bible to find something that will speak to us. It’s flat out amazing how God will personally speak to our circumstances and our need as we simply read chapter by chapter. Here are 3 different Bible reading plans. 2. 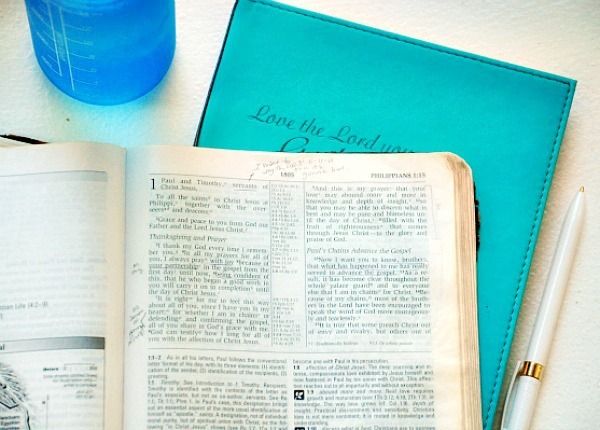 Join a Bible study. This is a great way to jump start a good rhythm of Bible study. There are online Bible studies, studies through local churches and community Bible studies such as Bible Study Fellowship. Look for a study that digs into scripture rather than one that discusses a book. 3. Use a devotional guide. A daily devotional is a great bridge to get into the Word. I’m giving away one of my favorites – Streams in the Desert — and I’d love for you to enter to win a copy here. 4. Download an app. Thank you smart phones for making it even easier to get our daily dose of God’s Word! Proverbs 31 ministries has a new free app that will send a devotional to you every morning. If you’re like me and you check your phone before your feet hit the floor in the morning (confession), the First5 app is a great way to start your day. What helps you get into God’s Word? What stops you? I’ve learned every morning is a new chance for me to take a few minutes to meet with God. This is Day 8 of 31 Days: Braving the Broken. Thank you so much for joining me. If you’d like to join us, you can subscribe here and join me on Instagram here for even more encouragement. You can find the full 31 Days: Braving the Broken here. I have right now a stack of Bibles on my shelf, one on my bedside table, and another in my car. My children all have at least one Bible. They’re in the pews at church and handed out on campuses, available in almost every hotel room I can remember. But so many never have that kind of access to the Word. In the 1950’s, in the harsh totalitarian regime of communist Soviet Union, a secret network of house churches brought students together for a conference. The conference was illegal, the house churches illegal, but worse — it was illegal for a parent to teach his own children in his own home about the Bible and Christianity. Not one of the several hundred students attending the conference had ever owned a Bible. Maybe your jaw hangs open as mine does at that story. Students who’d never had a Bible but were rich with the Word. That’s the beauty of memorizing scripture — when you know God’s Word by heart, it’s yours to keep. I fell into memorizing large chunks and chapters of scripture almost by accident. Though I’d grown up active in church, scripture memory was completely foreign to me. But I wanted it for my kids. So one weekday, I gathered up kids and we started in with Psalm 23. One verse a day, some days just repeating and refining, and little by little we got it. We went onto John 15, followed by Psalm 1 and others. Days turned into months and years. I had no idea then of the huge rewards I’d reap for those 10 minutes each weekday. I am a different person today for memorizing scripture. It sculpted my heart and helped make a warehouse of truth mine. Why memorize scripture? These 7 reasons are a start. 1. Memorized verses are yours when you don’t have a Bible. In the car, on a run, rocking a colicky baby in the wee hours or immobilized for hours in that MRI. Memorized verses are yours when you want or need them. 2. Memorized verses are yours for deep Bible study. Memorizing scripture makes for slow Bible study. Memorizing one verse at a time allows you to really consider, dissect and apply it. It helps you chew on each phrase, word choice, prepositions and connecting words for layer upon layer of deep understanding. 3. Memorized verses are yours to confront the enemy’s lies. Our thoughts can so easily be clouded with fear and and the world’s served-up twisted truth. Memorized verses are like an internal fact checker. They’re a virus scanner that helps keep our thoughts clean of lies. 4. Memorized verses are yours to encourage you. Passages we’ve memorized come back like old friends. For years after memorizing Psalm 139 with my kids, I’d awake with its words running through my mind. That is the best kind of wake-up. They were a love note from God to me each morning as I prepared for the day. 5. Memorized verses are yours to encourage others. One way to let our conversations be full of grace and seasoned with salt is to share scripture. Friends have used scripture to help me soften my heart, clear my understanding and guide my thinking and my actions. 6. Memorized verses form your faith. Memorizing scripture cements truth in our heart. 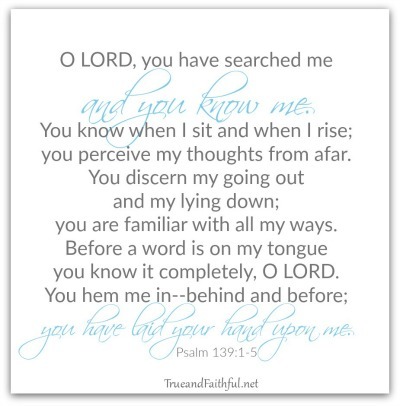 You cannot practice the words of Psalm 91 day after day without knowing deep down that God is infinitely trustworthy. 7. Memorized verses are yours when you need them most. Verses memorized on the ordinary days will anchor your soul on dark and painful days. They’re an investment which you’ll draw on over and over again on hard days. If you’ve never memorized scripture on your own or with your family, it’s never too late to start. It’s a great day to find a good passage in your favorite translation and just press go. If you’re wondering HOW to go about it? 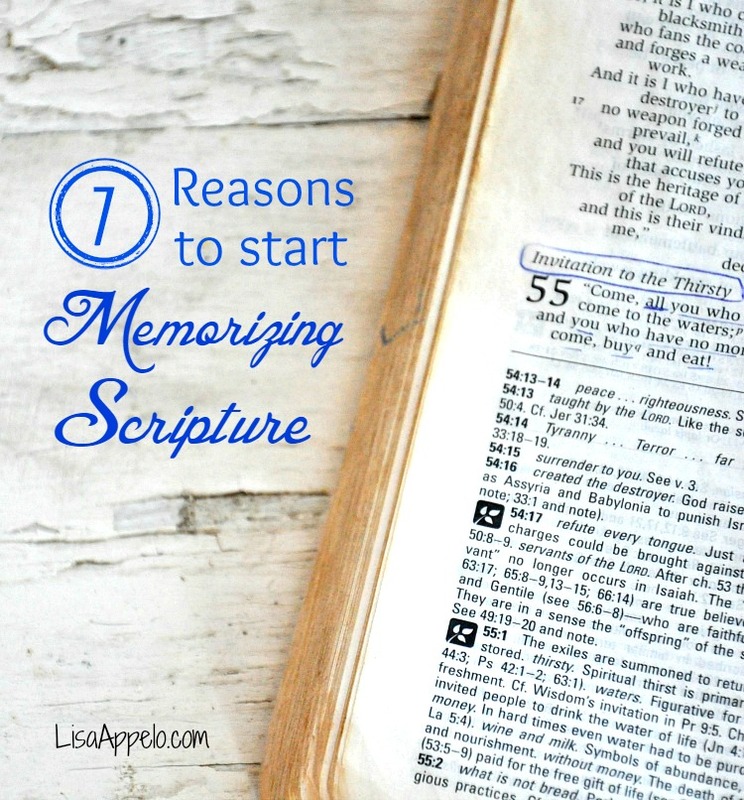 In Tips for Starting and Thriving in Scripture Memory, I’ve shared favorite tips from our experience as well as others who have shared with me. If you’d like encouragement delivered right to your inbox, subscribe here and I’d love to send you my free 100 Days with Christ Bible study & journal. ¹This story is recounted by Nik Ripken in The Insanity of God: A True Story of Faith Resurrected. 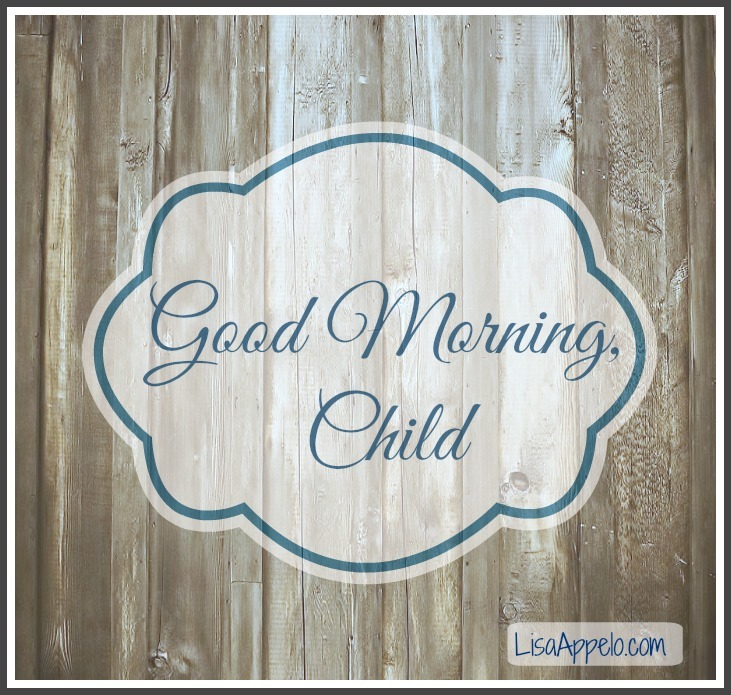 Good morning child, I’m calling you to meet with me today. I have so much to teach you and to start you on your way. Set your mind and build your strength before the battles fought.